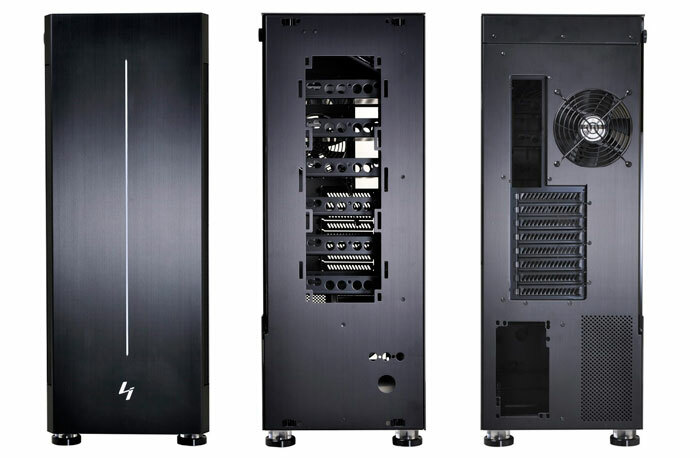 Aluminium chassis and peripherals specialist Lian Li has written to HEXUS to announce that its "classic monolithic" quad-radiator capacity PC-V3000 full tower chassis will be available in mid-September and at the end of October, in the US and the UK respectively. 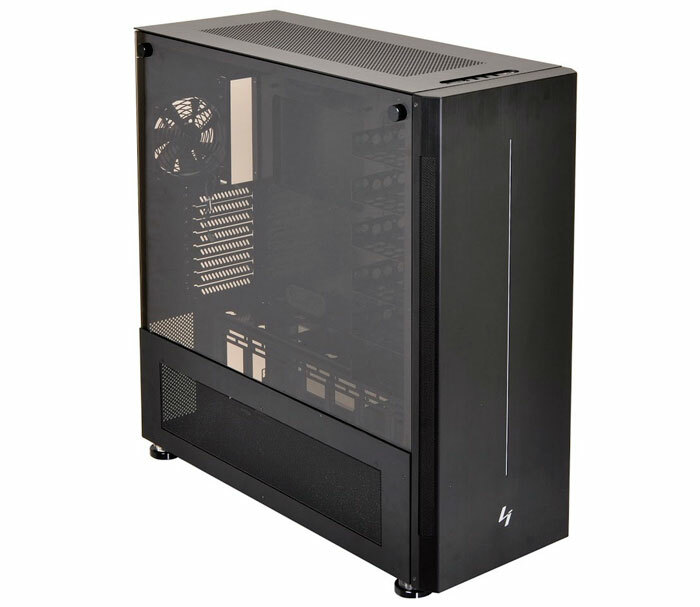 This beefy aluminium and tempered glass chassis supports up to E-ATX motherboards, 9x 3.5-inch drives, 3x 2.5-inch drives, 8x PCI slots (two with supports to prevent GPU bending), and plenty of room for cooling considerations (capable of housing four radiators). The Lian Li PC-V3000 was designed to be "the ultimate Aluminium and tempered glass full-tower PC," says the manufacturer. 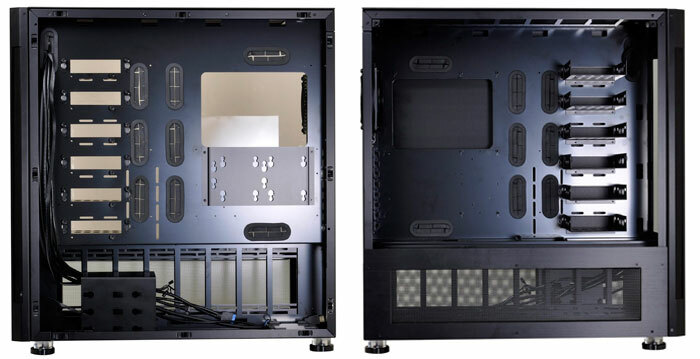 It uses high quality materials throughout; a sturdy steel structure, brushed aluminium panels featuring Lian Li’s patented rivet locking mechanism, and Lian Li's largest tempered glass panel to date to show off your RGB LED lit components to great effect. I outlined the component capacity in the intro but in more detail the quad-radiator capacity is said to be class leading - with room for a 480mm rad in the bottom, a 420mm rad in the top, a 360 or 280 mm rad in the front panel, and a 120mm one at the back. For customisation of the interior users can remove any or all of the 3.5-inch drive bays and such component juggling might be necessary if you opt for a quad-radiator cooling setup with its four associated reservoir/pump mounts required. Maximum compatibility details are provided below, in the key features summary. Though it boasts classic styling the Lian Li PC-V3000 has plenty of modern niceties such as convenient access to HDMI and USB 3.1 Type-C through its front panel connectors. RGB controller dials are hidden away behind the front panel too. As mentioned in the intro, the PC-V3000 becomes available in mid September in the USA, where it is priced at $449.99. UK dwellers will have to wait until late October and pay up £429.99. There's no such thing as a requirement for each radiator to have its own reservoir or pump. The optimal configuration for most open loop water cooling is a single loop with as many radiators as you need; you might run separate loops, but that's to do with aesthetics (i.e. different coolant colours) and not any hard requirement enforced by radiator or block count. Over three and half times the price of a Fractal Design Define XL R2… I don't doubt it's a very good case but, this is one for the well-off, mines better than yours/more money than sense brigade. Had one of their cases. It was returned within a week. The cutout did not match my mobo, although they stated it would. Bad build quality (or at least Quality Control). Sharp edges and warped chassis. Left this company in the dust and never looked back.